Capt. Marty has been fishing Since he was 5 years old, 21 years specifically out of Dularge. He is a die hard fisherman and loves to share his passion with other people. Absolute Fishing Charters is committed to providing affordable, fun fishing trips into the coastal marshes and the Gulf of Mexico leaving out of Dularge, Louisiana. It is Capt. Marty's goal to make each trip as memorable and enjoyable as possible and all trips are tailored to your request. 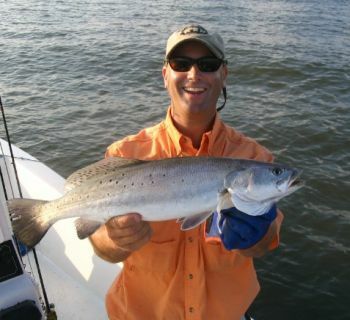 Come experience what the Louisiana Gulf Coast has to offer while spending a incredible day fishing with Capt. Marty. Thanks.